Kitchen Refacing is an alternative to a complete rip out and rebuild kitchen renovation. Depending on the extent of refacing required and the layout of your existing kitchen, it may be possible to save up to 60% compared to a complete kitchen renovation. 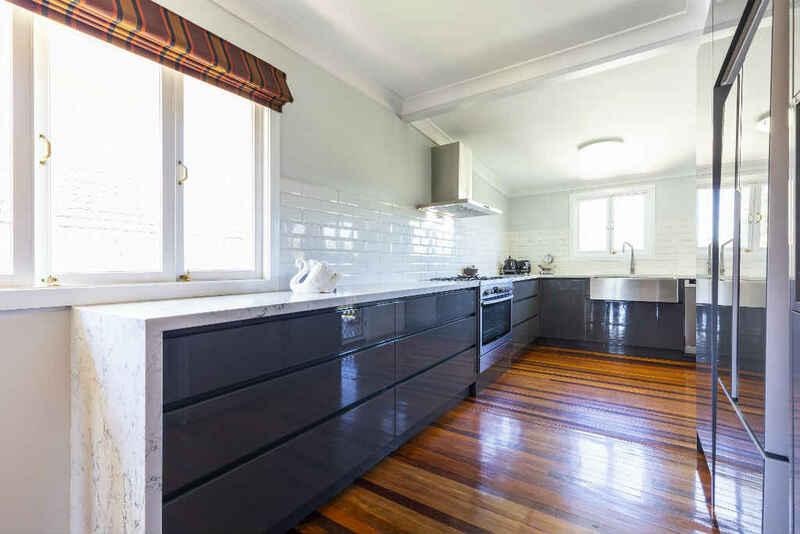 Easy Living Kitchens are the experts in Brisbane for everything from budget kitchen makeovers to kitchen refacing and complete kitchen renovations. Kitchen refacing can totally change the look and feel of your existing kitchen and add thousands of dollars to the value of your home when it comes time to sell. In fact, many who choose kitchen refacing versus a complete kitchen renovation do so with the view to selling or improving rental return on investment properties. Kitchen Refacing is a type of kitchen makeover where only the external and visible doors, drawers and end panels are replaced to give your existing kitchen a new look and feel. It doesn’t include re-configuring the original layout or alterations to cabinetry (ie. replacing cabinets with drawers etc) It may include replacing kitchen benchtops and kitchen splashbacks where possible. Is Kitchen Refacing an Option for Me? As long as your structural kitchen cabinetry is in good condition, and you are happy with the existing layout and configuration of your kitchen, kitchen refacing may be a viable option for you to consider. Kitchen refacing is most suitable when all you want to achieve is a new colour or surface style to what is already a practical, functional kitchen. How Much Will I Save by Kitchen Refacing? Suffice to say, the kitchen is widely considered the most expensive room in your house, and a average complete kitchen renovation can easily cost upwards of $25,000 depending on size and specifications. Kitchen refacing can in some cases provide savings of up to 60% but every kitchen is different. Truth be told, the external panels and accompanying hardware are the most costly physical components of your kitchen cabinetry, followed closely by labour. If your kitchen is a basic design with easy accessibility to all panels requiring replacement, you will save more than a complex designed kitchen with integrated towers or components, which need to be completely dismantled to access panels requiring replacement. 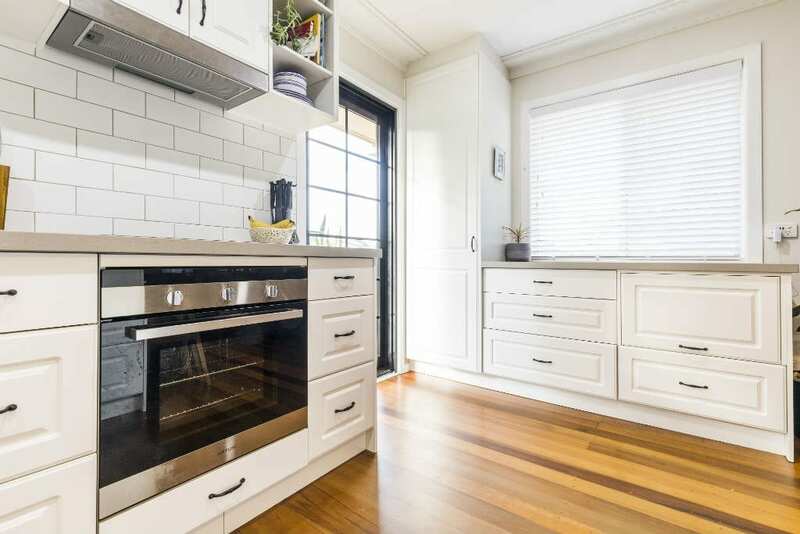 Sometimes, if you also want to replace benchtops and / or splashbacks, the practicality and viability of refacing your cabinetry may become minimal. The best place to start is by giving us a call on 1300 650 681 or completing the form on this page to request a FREE Budget Kitchen Makeover Consultation and Quote (valued at $500). Our friendly and highly experienced kitchen designers can visit you in the comfort of your own home and advise you of the options available and assist you in making the best decision for your circumstances. Our designers are able to provide multiple options for your consideration and will even break down their proposal and quote, so you know exactly what you will be receiving.